Want a free ringtone? Audiko.net! You can just download a free ellie ringtones for your iPhone or mobile.  Cut your favorite episodes from your favorite tune - Ellie Goulding - Still Falling For You, Feel The Burn (Ellie Goulding-Burn and Rudimental-Feel The L, Ellie Goulding - Guns and Horses Free, or any other track. You can get your tone both in the MP3 and m4a formats, played by both mobile phones and iPhones. Just select a track, and choose free ellie ringtones download option.